On Thursday, May 9, more than 700 wine lovers turned out to sample an all-star array of wines and spirits—all scored 90 points or higher by the WE tasting team—at its Red and White Bash held at Manhattan’s Hudson Hotel. In addition to the revelry, 100 percent of net ticketing proceeds benefited Wine to Water, a non-profit organization that focuses on providing clean water to those in need around the world. 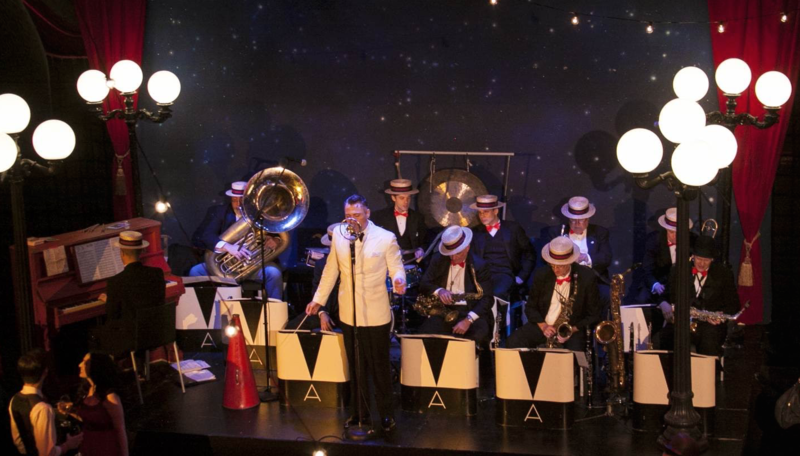 In an immersive two-floor set designed by renowned events artist Adam Aleksander, revelers were treated to 1920s-style jazz-age music courtesy of the 12-piece jazz band Michael Arenella and His Dreamland Orchestra. Overhead, an aerialist perched in an illuminated crescent moon, dropping wine “love notes” by parachute. Toward the midpoint of the evening, Wine Enthusiast Publisher and Editor Adam Strum took to the stage, thanking Wine Enthusiast readers for making the past 25 years worth celebrating. 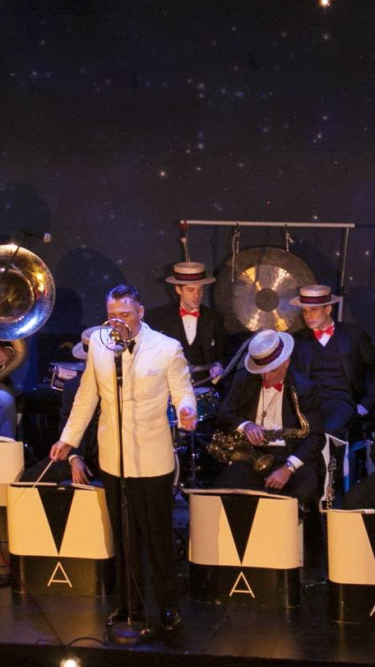 Guests raised their glass, shouting even more raucously as a barrage of glittery confetti rained down, and the band played on into the night.